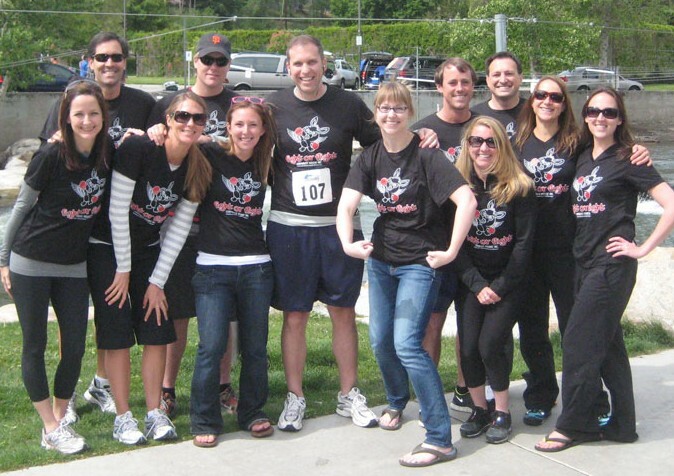 On Saturday, June 3rd, 12 employees, friends, and spouses of Corporate Visions completed the 7th annual Reno-Tahoe Odyssey. This 178-mile relay race takes runners around beautiful Lake Tahoe, Carson City, Virginia City, and Reno by day and by night. Sponsored by Corporate Visions, Team Fight or Flight pushed themselves to reach personal fitness goals during their 27 hours and 26 minutes to the finish line. They ran over mountain passes, cheered on their teammates, and kept spirits high with little to no sleep. In addition to the physical and mental accomplishments of completing this unique adventure, these runners raised $2,400 from 49 different donors to support the race’s charity, the Northern Nevada Children’s Cancer Foundation. The NNCCF enhances the quality of life for children with cancer and their families by providing financial assistance and compassionate support programs while advocating for increased research funds and raising public awareness. There is no experience quite like spending 27.5 hours with your friends and coworkers to accomplish your goals. Congratulations to all the runners, volunteers, and supporters of this wonderful event. Click here>> for a photo gallery of the race. Research shows that contribution is one of the main human needs, for a satisfying life. We've made it easy for you to get involved and leave your mark on this world. Get started right now! © 2019 CVI Power Foundation. All Rights Reserved, Corporate Visions Inc.